More art I’ve neglected to upload. I plan to start putting stuff up daily or something close to that. I’ve also made a givinggrid donation page to help me pay for tuition. There are custom art rewards! 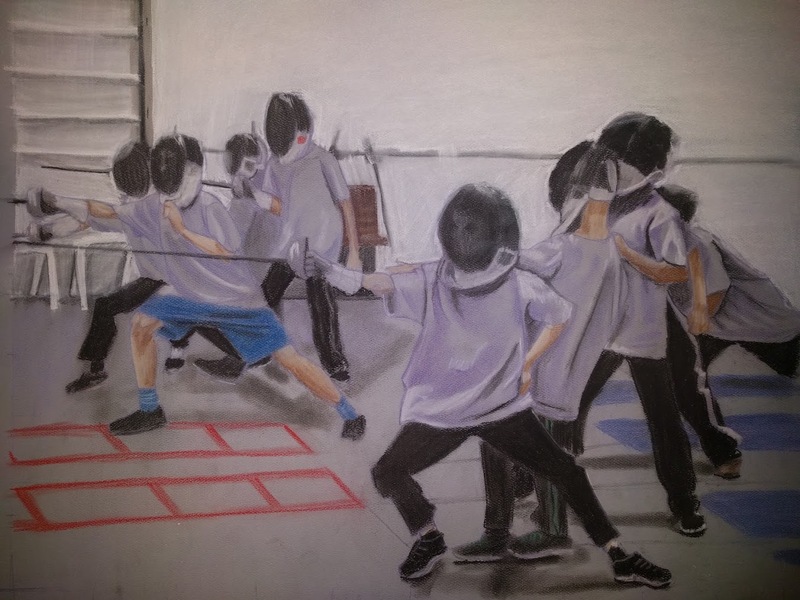 This is drawn from a photo of my son and the cub scout troop he is in at fencing practice. The boys in the picture are 8-10 years old, and that’s my boy Jonas in front. You know what this blog needs? More baby videos. Sorry for the lack of updates. Here’s some Christmas. This Guy is 6 MONTHS OLD! Last Saturday, my son woke up around eight at night with some goobers in his eyes. Turns out he had pinkeye. Got some eye drops for him and it cleared up. 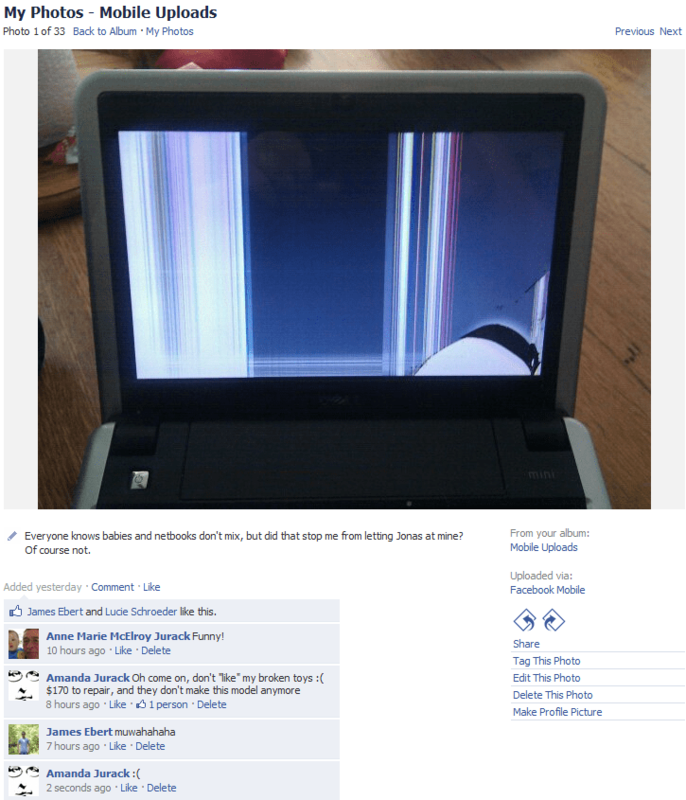 I warned my coworker who had come over that day with her daughter to watch out for it in case her kid got it. Last Monday, I went to the doctor because my back was killing me. For my lower back, he cracked it and all was good. For my upper back, he wanted me to start taking my muscle relaxants again. I stopped taking them due to breastfeeding, so now I just get to live with the pain and hope Tylenol will work. Last Tuesday, I woke up feeling as if I’d swallowed barbed wire. I called off work and slept in. Eventually this great glob of blood and mucus came out of my nose, ( gross) straight from my sinuses. It came out while I was breathing normally, no coughing or blowing. I felt better for a while. Last Wednesday, I went to work feeling one hundred percent better than I had on Monday. I had to leave early, though, because my son had a fever. Last Thursday, the guy who sits next to me at work called off. I started having coughing fits. 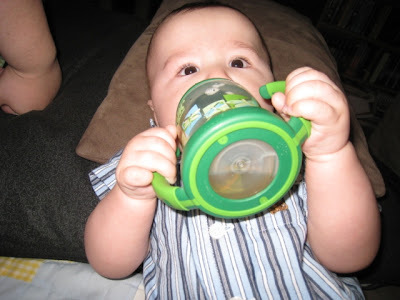 My husband stayed home with our son since he couldn’t go to day care. Last Friday, I was having coughing fits pretty regularly. I felt fine, except for the coughing. Yesterday, I couldn’t sleep through the night due to the coughing. I waited until my husband got up and slept fitfully during the morning. Today, I’m up again for the same reasons, except now I have pinkeye.